There are lots of different types of headaches that people can get including tension, cluster and cervicogenic headaches. You may struggle with headaches that can progress into migraines. There is often a common element of neck tension, joint stiffness and/or poor alignment that contributes to peoples headaches. Looking at the way the muscles around the neck work, assessing the alignment of the joints and other areas that may impact your posture can have a huge impact on the severity and frequency of the headaches you suffer. 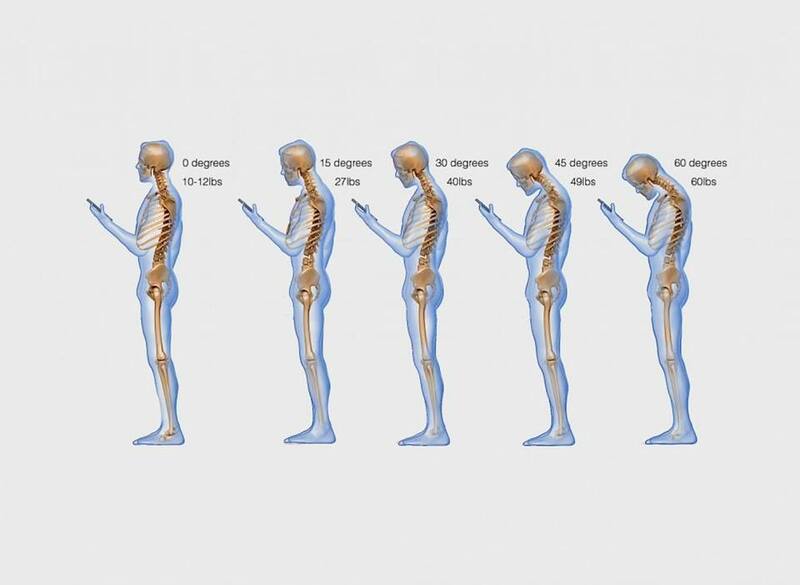 There’s a great image that shows how much the head weighs relatively depending on your posture. Remember that the muscles in your neck that support your head are quite small so this change in strain is HUGE and can be a really big factor in why you get neck pain and/or headaches. Releasing stiff joints that can refer pain into the head and eyes. Assessing your work station set up to minimisethe strain on your body from working. Helping you improve and maintain your alignment to reduce the load on your joints, nerves and the discs in your neck. More experienced physios can also help by assessing and releasing tension within the cranium (the head) that can be chronic and the result things like orthodontic work, nasal surgeries, hits to the head, concussions and whiplash.